S pecific – You cannot be vague when it comes to your goals. The more detail the better. That way you always have something to focus on. If you say you want to buy a house, what kind of house? Where? How expensive? The more questions you ask yourself, and the more you can answer them the better. This will help you really achieve your goals because every aspect has been looked into. M easurable – A goal has to be measurable. How else will you be able to determine if you have reached your goal? Saying that you want to be able to run 3 miles every day is something that is measurable while saying you want to be a good runner is not. A ttainable – If your goal is way out of reach you have already set yourself up for failure. Big goals are great to have, but you have to have little goals for the steps in between. If your big goal at the end of the road is to become a millionaire, obviously this won’t happen overnight. 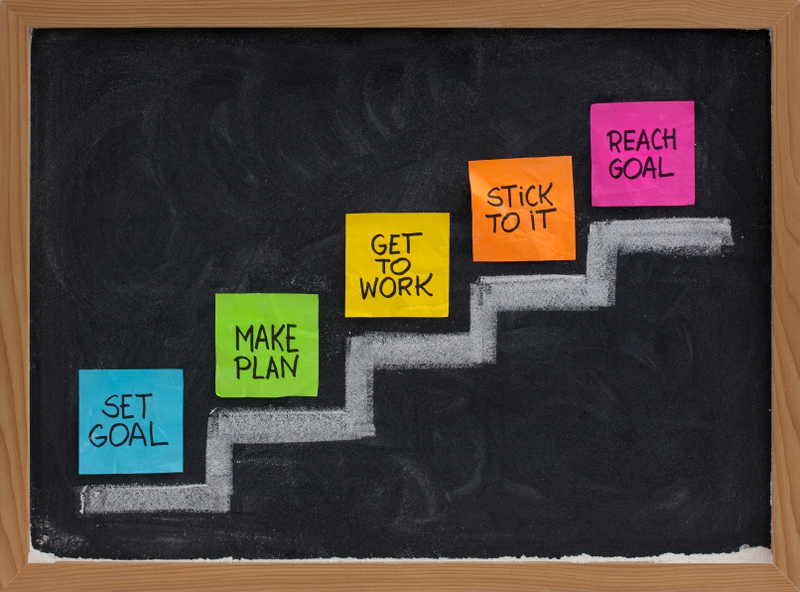 So you have to set up attainable goals to get you to that point. The first thing to start with would be getting a good job by next year. Next, save a percentage of every paycheck. Next, in the next 2 years I will get the promotion. These are all steps that are attainable and will lead you towards your end goal of being a millionaire. R ealistic – The goals have to be realistic. You will not lose 30lbs. in one week. It physically can’t happen. A more realistic goal would be to lose 3lbs. in one week. T imely – A timeframe gives you a clear target to work towards. All goals should have this. Even a goal as simple as I will finish my laundry by Wednesday night, to a much bigger goal of completing my master’s degree in 2 years. Putting a deadline on yourself holds you accountable for your goals. Your goals should be something that is exciting for you. Be sure to have fun with them. These are things you really want in life and deserve. Makes sure to write them down and have them in a place where you will see every day so you know what you are working towards.